Scientists have created a technique that dramatically improves the performance of musicians.The system – called neurofeedback – trains musicians to clear their minds and produce more creative brain waves. 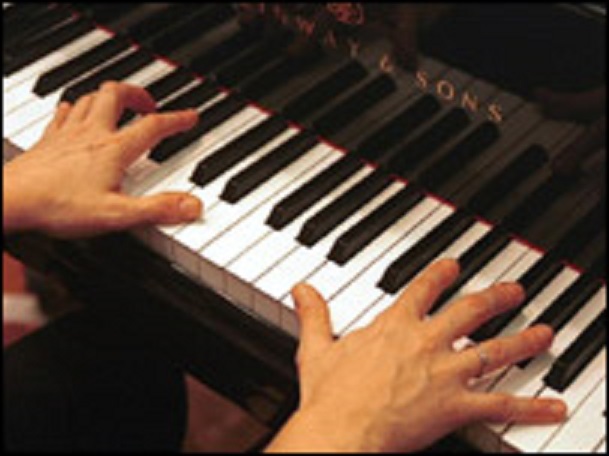 Research, to be published in the journal Neuroreport, indicates the technique helps musicians to improve by an average of 17% – the equivalent of one grade or class of honours. Some improved by as much as 50%. Students were assessed on two pieces of music before and after neurofeedback sessions. Neurofeedback monitors brain activity through sensors attached to the scalp which filter out the brainwaves. These filtered brainwaves are then ‘fed back’ to the individual in the form of a video game displayed on a screen. The participant learns to control the game by altering particular aspects of their brain activity. This alteration in brain activity can influence performance. A panel of expert judges found the 97 Royal College of Music students improved in a number of areas, including musical understanding, imagination, and communication with the audience. The technique has already been used to treat epilepsy, alcoholism, attention deficit and post-traumatic stress disorders, according to the researchers from Imperial College London and Charing Cross Hospital who conducted the study. As a business owner and entrepreneur Tess turned to hypnosis and Neurofeedback to improve her business and personal life skills. Now she makes it a focus to help others be their best and turn their goals into reality. As a Business Owner and Entrepreneur with a strong personal interest in Best Practises for Business and Personal Excellence, Energy, Quantum Physics and Metaphysics, over 12 years ago Tess turned to Hypnosis and Neuro-Feedback to improve her Business and Personal life skills. Now she makes it a focus in her life to help others be their best and turn the goals they have in mind, into the life they want to live. Tess is a seasoned Business owner, awarded an NRC Grant for technology, won the accolades of Kevin O'Leary on The Dragon's Den and is an expert on what it takes to properly capitalize and organically grow a business. Tess' Neurofeedback training has her know that the deeply held triggers of anxiety are solely responsible for: Procrastination vs. Productivity and Peak Performance, ADHD, OCD, Depression vs. Healthful, Happy outlooks on life and successful relationships, addictions and self-harm vs. strong personal boundaries and self-discipline. Which subset would you choose? Copyright 2015 www.no-stress-success.com. All rights reserved.